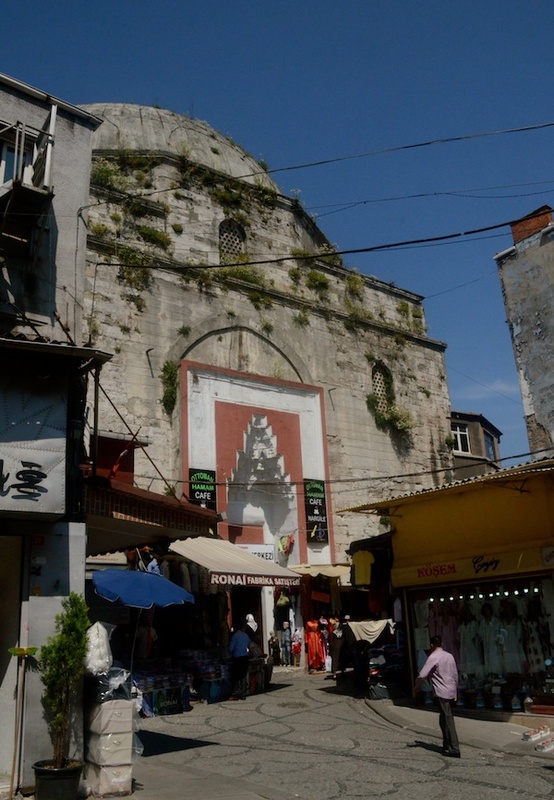 Istanbul has been an important trading hub for centuries and its bazaars are an important aspect of its ecosystem. 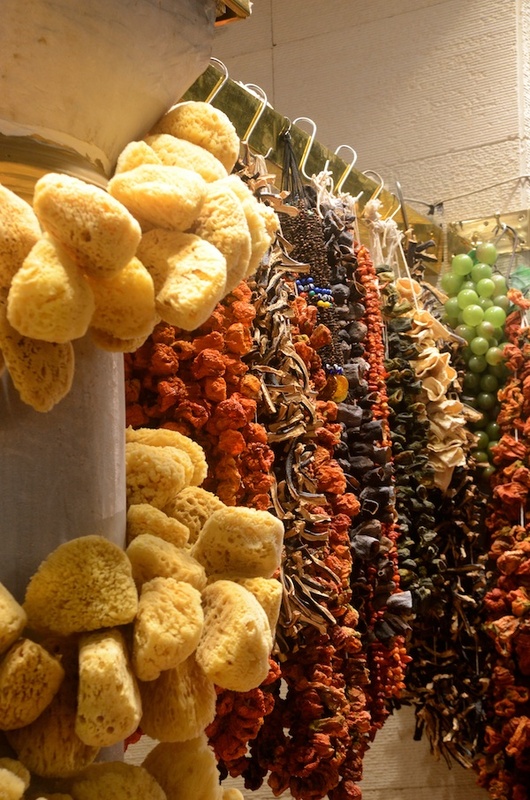 We walked through a wholesale market not unlike Delhi’s Chandni Chowk to get to the Spice Bazaar, or as the locals call it Misir Charsisi, referring to the historical trade with Egypt in spices. Akin to Khari Bowli, which is located at one end of Chandni Chowk, the Spice Bazaar sells an amazing assortment of condiments. We got educated about several varieties of saffron and the shopkeeper actually dissolved a few grains of the fiest Iranian saffron in water to show us how magically the colour seeps out compared to Turkish and Spanish saffron, which are considered inferior. Indian Saffron, to my amusement, was not saffron at all in this market, but a name used to refer to haldi, or turmeric! 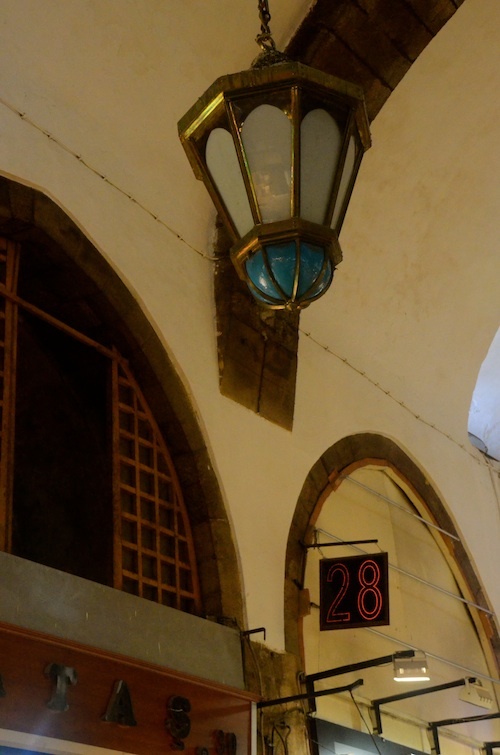 The Spice Bazaar, the Grand Bazaar as well as some other smaller little markets on the way are indoor bazaars that pulsate with activity inside beautiful living Ottoman structures, replete with details in paint and tilework, period light fixtures and much more. 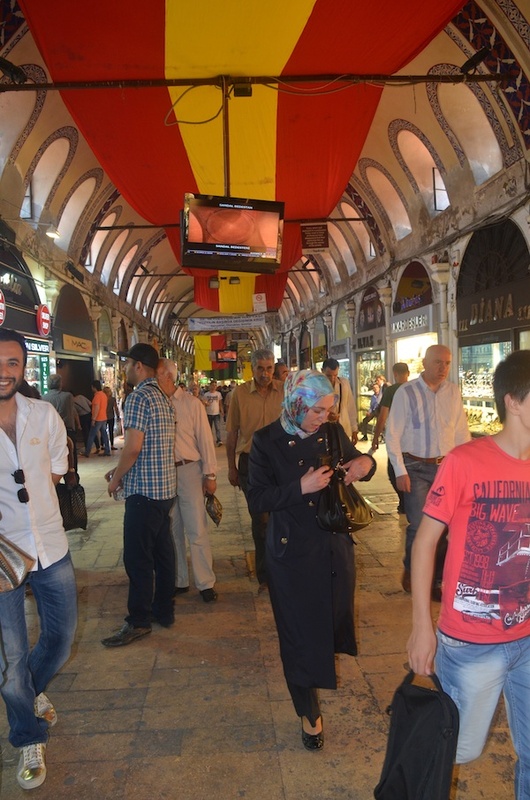 Well ventilated, the bazaars do not feel claustrophobic and an entire industry of cafes, food stalls and nargili (hooka) places thrive inside. We ended up buying some ceramic work and were lucky to find English speaking locals who helped us find a good price and refer the right shops. Carpet and kilim traders were out to get us (in a gracious nice way, none of the pushing and shoving type of touting here! ), but we escaped them after a short session of looking at some gorgeous old used Armenian and tribal kilims that had been brought in from the villages for restoration! Did not seem polite to photograph those, but they were similar to the durries we get in India, but with richer colors. Advice to visitors here. 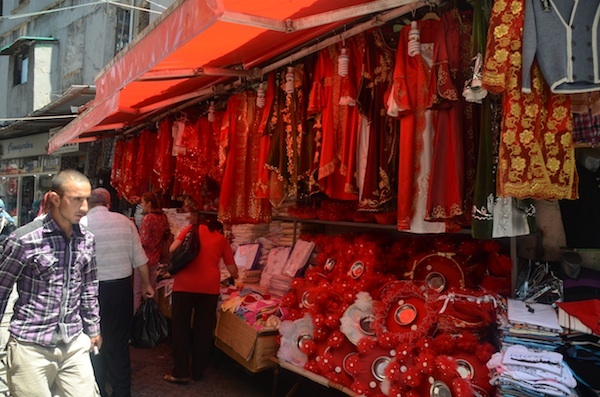 Haggling is fine! We saw some kids for India doing it desi style and it worked pretty well!Find out prices from at least 3-4 shops if you want to buy ceramics, carpets or anything substantial price wise. 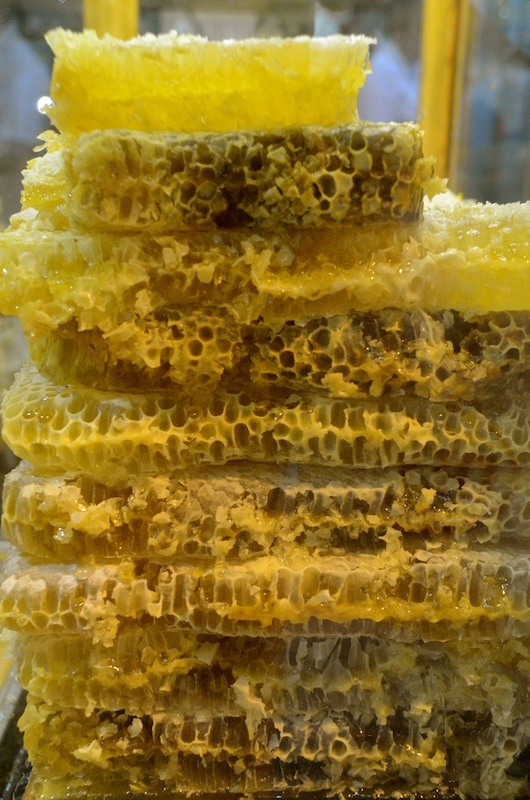 You can eat constantly in Istanbul. 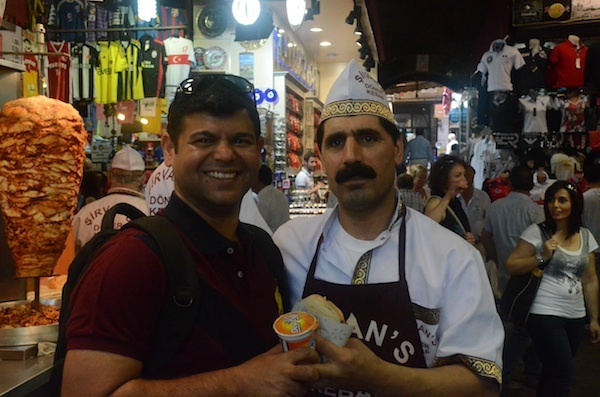 This man sold us a donor kebab, gave us a free buttermilk drink and insisted on getting a pic with Rahul! 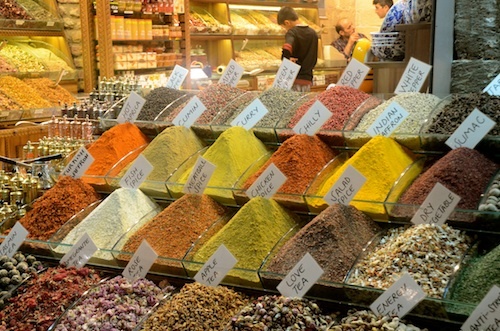 Check out the interiors of this spice market! This reminded me so much of Delhi. 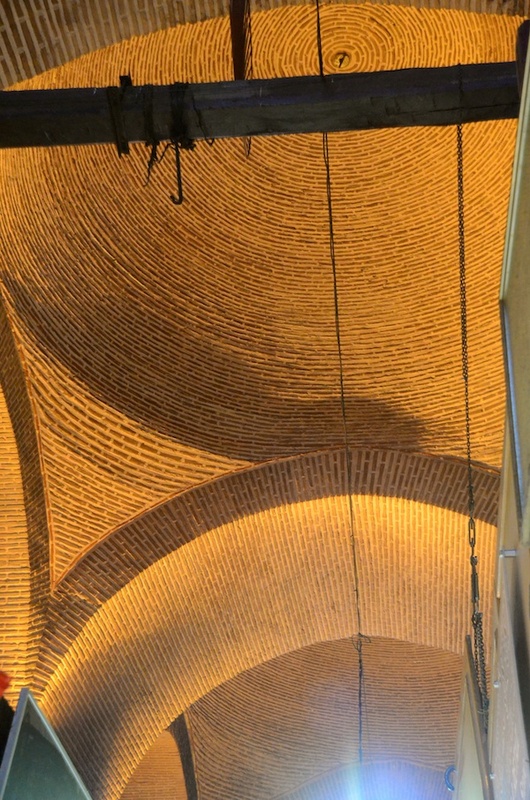 Structures like this peeked out at us all the time. This one also had shops stuffed inside and some paid loos as well! 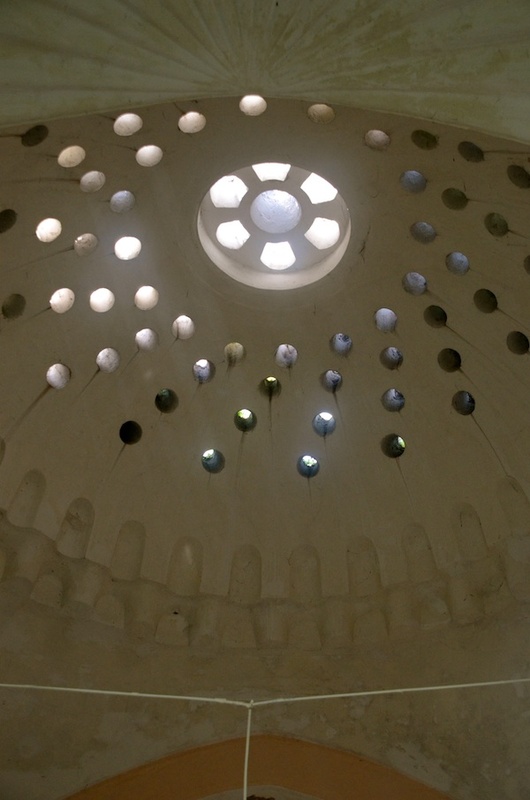 The ceiling from inside of the loo bazaar! 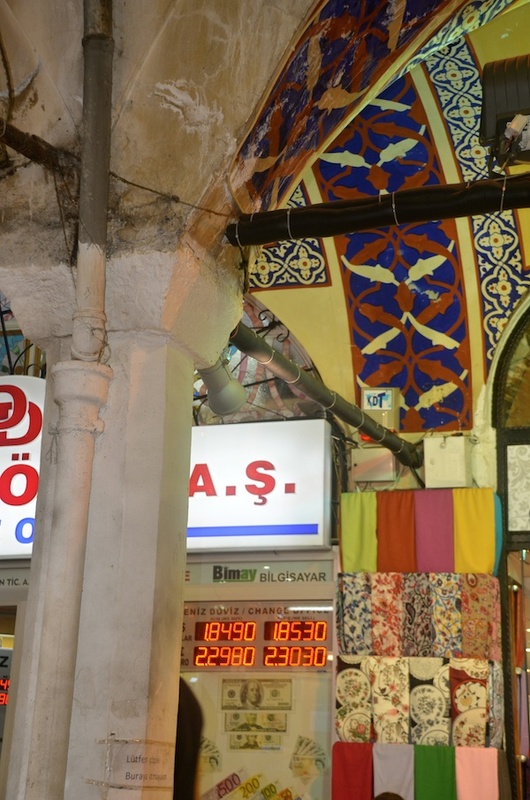 Grand Bazaar. 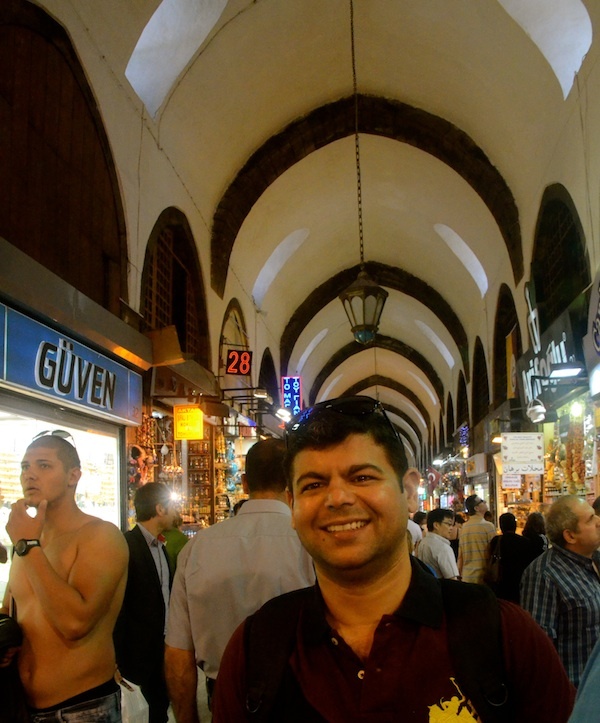 In terms of scale, much larger that the Spice Bazaar, higher celings, more ornamental inside….fascinating! Super friendly cafe owner took this one. We ate the most awesome veggie stew here with bread! 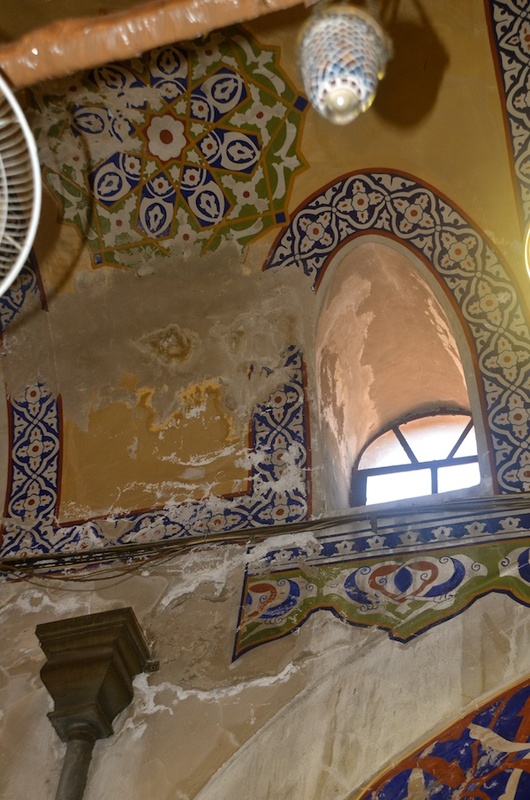 One part of the Grand Bazaar ceiling with the plaster work undone…check out the brickwork dome! 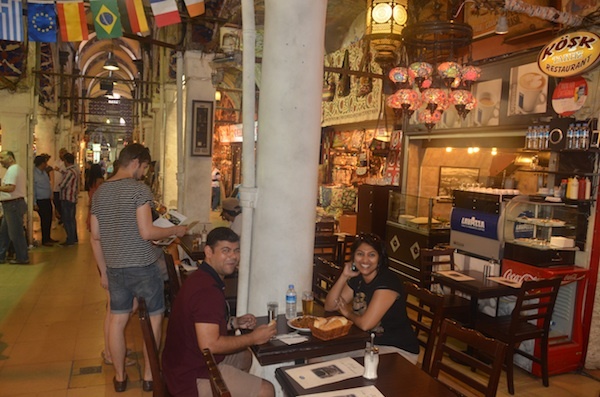 Posted on June 4, 2012, in Travel & Experiences and tagged architecture, bazaar, conservation, heritage, Istanbul, market, shopping, streetside, Turkey. Bookmark the permalink. Leave a comment.